They are a great day for me. This Sunday I decided to go on a little scavenger hunt around Rexburg. I found a site called Scavenger Hunt Sunday. Each Sunday the author of the blog posts five topics, along with examples of photos for the topics she has given. She encourages everyone to be creative with the topics and have fun, taking as many photos as you can. I took up this challenge and drove around Rexburg. It was a perfect peaceful day. The weather made Rexburg seem so beautiful. 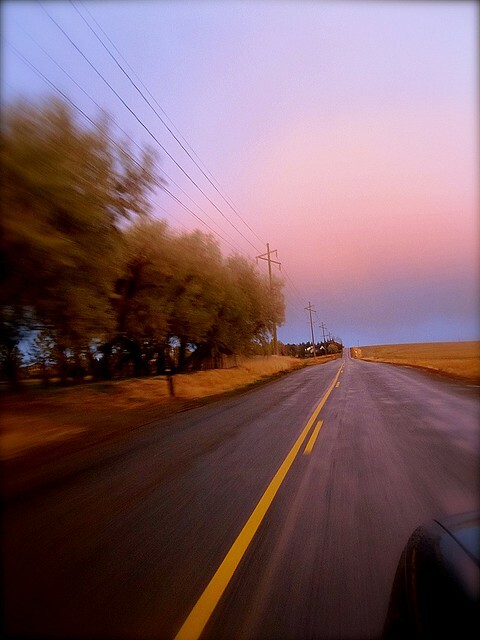 When I headed out of this photo hunt it was coming close to evening, so the sunset was bright orange, and pink. It was breathtaking. Also with the temple lit up it was perfect. Sadly I wasn't able to find everything; only two, but I had fun taking random shots. Rexburg is all about the hills. Every where you go you are required to go up and down them. I have discovered that it is not an easy task while trying to ride a beach cruiser with no gears. That is why I decided on driving. Plus it was a little chilly and raining. Yes I did drive up this hill on the outskirts of town with my camera out the window. Actually that is how I ended up taking most of my shots. 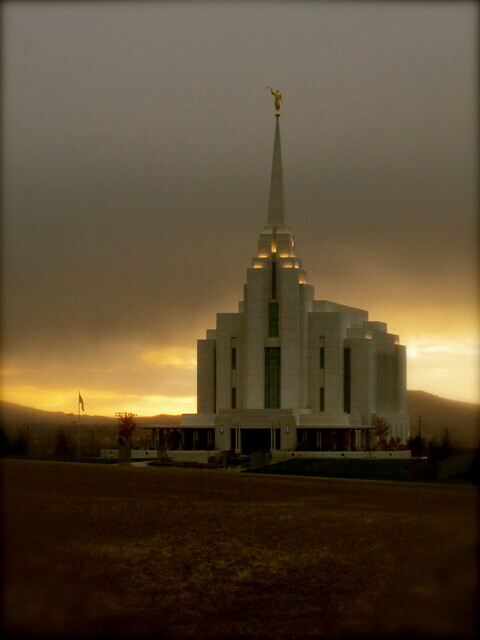 As I stated before, the Rexburg Temple looked amazing, with the lighting from the sunset and the lights on it. 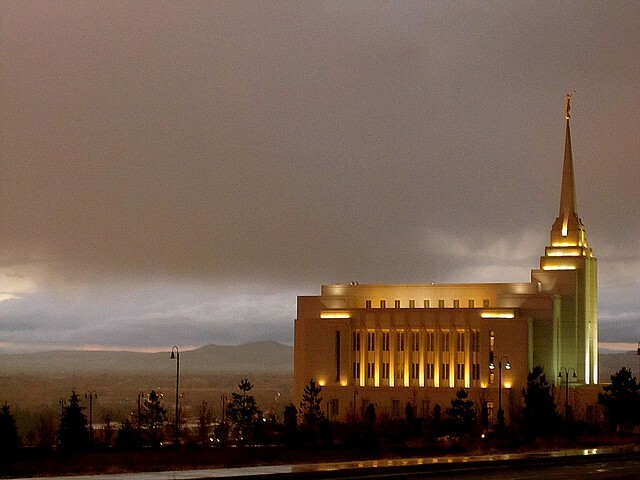 I chose this picture because no matter which way you come into town, the temple is what you can see. It overlooks Rexburg and BYUI. It is how I know I am getting close to my current home, and it is a comforting sight. These next two pictures don't really have anything to do with the scavenger hunt, but I loved loved loved these. They were just absolutely breath taking to me. At one point as I was driving I spotted a full rainbow. There was almost two full rainbows, but not quite. Where I pulled off to the side of the road I wasn't able to get the whole rainbow in one shot, so I took multiple photos and then tried to be creative and combine them to make one rainbow. I thought it turned out pretty cool. I'm hoping that I can keep up this, making it a Sunday tradition.